It is not quite clear who invented the word flange for this wonderful effect. Peter Sellers during the Goon show or Lennon at the BBC recording ? The effect itself was invented by BBC sound masters who put their greasy fingers on the rim ( flange ) of one of the tape reels of the simultaneous tape decks playing the same recording. This resulted to a sweeping effect we all know and adore. Thanks again to all these great guys and girl. 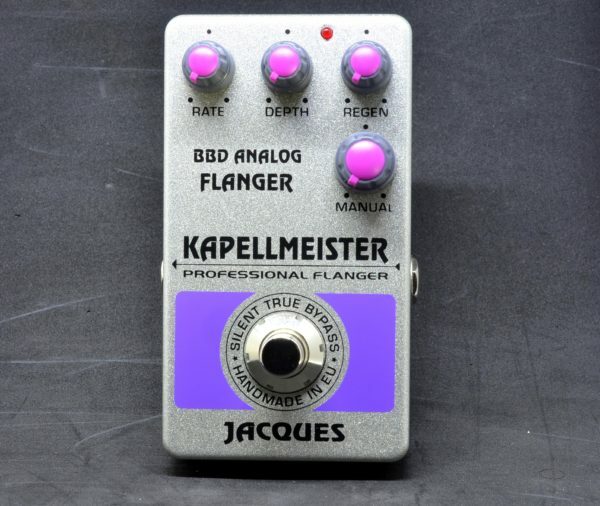 Once again, the superiority of analog delay chips to produce this time based effect is easy to prove : the BBD chip retains the sounds in its guts of caps and resistors much more naturally than any coding digital chip that have to translate it in computer language. Just observe the right return to vinyl recording in hifi these days and you’ll understand why analog will always sounds better than digital encoding, no matter how many Hz and bits you will align in our musician front. You can see on the picture the vintage mutron that has inspired me all along this creation process of a holy grail flanger, not counting how hard it was to find it on the vintage market ! Nevertheless, you will still have to inbreathe musicality to sound circuitry whatever electronic base you put in an effect. This is performed only by trying and listening. ALL components affects the way your signal is processed and it’s only when you explore all possibilities BY EAR that you reach the supreme goal : Great Music Tone. This is what I did with the KAPELLMEISTER, sparing no effort in choosing all components in the signal path in order to achieve a standard. 4 – And now, let’s crank this amp up ! 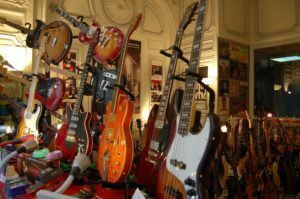 During all these tests, our beloved KAPELLMEISTER was tested both with great clean tube amps ( ’65 deluxe reverb , Hiwatt Custom 100 heads, etc…) AND raging overdriven legendary amps ( ’68 Marshall plexi, JMI top boost Vox ac30, etc…. 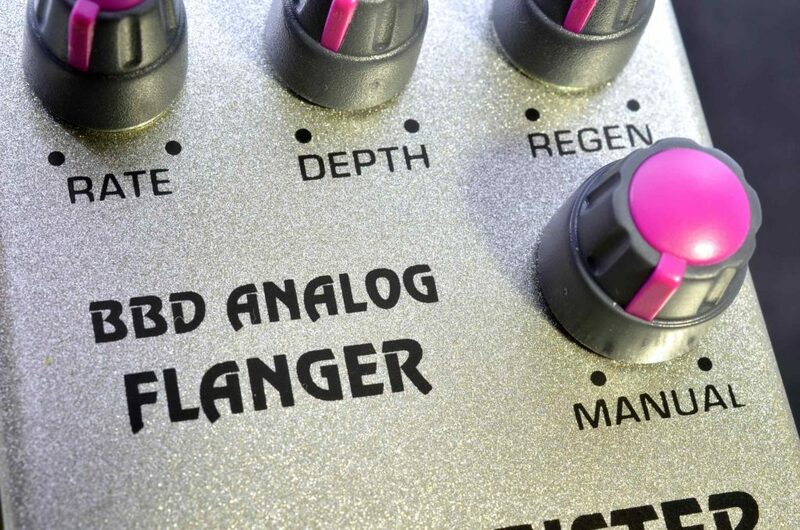 ), because it is a very crucial point on a flanger. Good flangers must sound good with distortion, letting you enhance your soli with swirling rotating effect, a la EVH. And the KAPELLMEISTER excels in this exercise. Satisfaction guaranteed.